Google Analytics is a free and powerful go-to solution for monitoring your website and tracking important activity. However, it would be shortsighted to discount the other solutions that exist for collating your data. Keeping tabs on your website traffic is possible with a number of analytics programs, although it’s important that you choose the one that best fits your website’s needs and goals. By understanding how Google Analytics works in comparison to other programs, you can make an educated decision that works best for you. While we are fans of Google Analytics at Pagely, in this article we’ll first explain why you might want to consider alternatives. Then we’ll reveal three reputable alternatives, and discuss which might be a better fit for you. Let’s get started! Google Analytics enables you to keep track of how your website is being used, including which sites are referring traffic, and the keywords being used to discover them in searches. The information provided can be segmented into a variety of powerful reports to help understand your visitors’ experiences. It even enables the website owner to track purchases, to gain a stronger understanding of which pages are converting the most revenue. Finally, Google Analytics is completely free, which is a big part of its popularity. Using the service means you are handing over your data to Google, where it can be monetized for its own use. While not confirmed, some people believe the data collected from your website can even negatively impact your Google rankings. Major websites will have to sign up for expensive premium services if they generate more than 10 million hits per month. This means you’ll need to consider the budget involved for upgrades. Website traffic data is only useful if you are able to interpret it. Google Analytics’ reports aren’t always intuitive, and can be difficult to understand. This is not optimal for a company needing actionable reports quickly if there isn’t someone familiar with the report structure in house. While there’s no doubt Google Analytics is a powerful free tool for most, it is not always the right fit. Thankfully, there are a number of alternatives for those looking for something else. If you’re interested in switching from Google Analytics to another service, here are three strong options for you. Some are free, while others are premium, yet all offer unique strengths that can benefit you depending on your reasons for switching. Let’s take a look! StatCounter is another free alternative with powerful real-time web analytics. It highlights unusual navigation paths, so you can figure out how to better encourage your visitors to explore your website on pages with low bounce rates. Additionally, it provides customizable hit counters if you’d like to show off your web traffic publicly. Raw data is available, which is great if you like having complete access to all of the data collected. You’ll be able to quickly see which search engines are generating the most traffic. Visit length is tracked, so you can see how âsticky’ your website is. Expanding on our third reason, if a user disables their cookies, each page they visit will consider them a unique visitor. However, StatCounter also uses IP addresses to better interpret this kind of data, to give accurate statistics about unique sessions. Starting with StatCounter is simple: Sign up for the free StatCounter service. Find the provided tracking code in your account. Along with the free version, StatCounter also offers premium plans so you can see logs beyond the most recent 500. They also offer the StatCounter Growth Plan, which translates your data into reports to help you make actionable decisions based on the traffic you’re getting. We think StatCounter is great for businesses that need a simple, yet effective reporting tool without investing a lot of money upfront. Unlike StatCounter, Kissmetrics is not a free solution. However, it offers powerful services with a focus on growth hacking. It’s a marketing-driven solution, and includes email campaign services that integrate with on-site visitor tracking for maximum conversions. With Kissmetrics, you’ll be able to create unlimited funnels, track cohorts, perform split testing with retention reports, and much more. Kissmetrics not only integrates with WordPress, but also with many other platforms such as Shopify and LiveChat to help you get the most out of your other services. Analytics, to track on-site traffic and behavior. Populations, to monitor and track segments of your market. Campaigns, to engage subscribers with automated email marketing. While Kissmetrics monitors your website traffic, it’s more focused on helping you apply the data to grow your business. 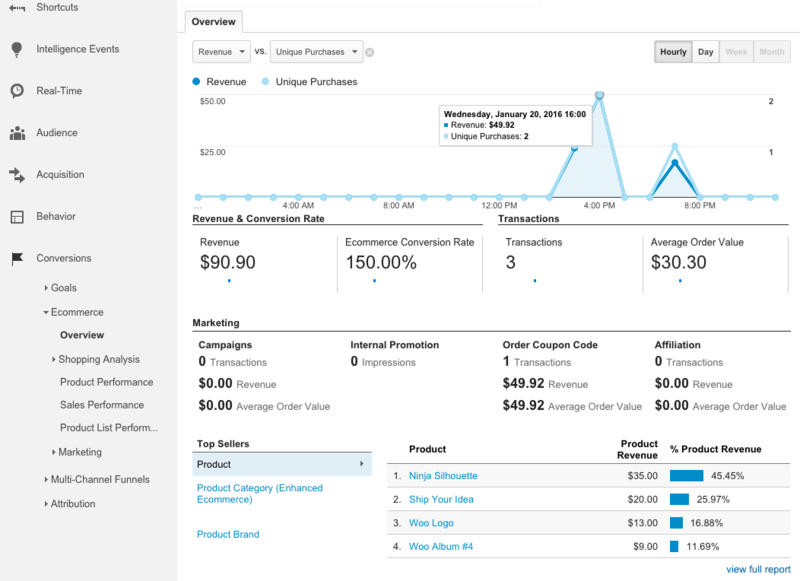 Kissmetrics provides you with reports based on specific goals you’ve set. You’ll have access to 24/7 email support, and they provide a setup call to make sure you get everything up and running properly. To get started with Kissmetrics, simply follow the prompts provided after selecting the tier you are interested in. They will provide the training you need to integrate it with your WordPress website. Pricing starts at $500 per month, with each tier offering access to similar features but in higher quantities. They also offer custom packages for enterprise clients at request. On the whole, Kissmetrics is a strong contender for businesses with complex data tracking needs, and for those who are ready to start using traffic analytics to fuel their growth marketing efforts. Clicky is a popular premium data tracking tool, and is well known for being one of the more user-friendly data tracking solutions available. They offer real-time services, along with up-to-the-minute data analysis, and you’ll find accurate, detailed reports with plenty of customizable filters. You can also download mobile apps on iOS and Android phones. Heatmaps, which show you how users are clicking around your website. Segmentation, to understand how different types of visitors use your website. Goal tracking, for keeping up with conversion rates. Engagement reports, with a rundown on how much your visitors interact with the site. Additionally, Clicky offers maximum security to help prevent inflated or incorrect numbers on account of spam visits. They advertise themselves as having the best referrer filter on the market, to provide you with the highest accuracy. First, register an account with Clicky. Locate your Clicky Site ID, your site key, and your admin key. Install the Clicky Analytics WordPress plugin on your site. Insert the correct data into the plugin. There is a stripped down, free version available — limited to 3,000 daily views and installation on one website — which may be suitable for small websites with up to 90,000 monthly page views. However, you’ll quickly need to upgrade as soon as your site gains traction. Paid accounts start at $9.99 per month, which opens up your tracking to ten sites and up to 900,000 monthly page views. Clicky is appropriate for those wanting real-time data and in-depth analysis, without needing to spend hundreds per month on a service. Analytics helps you gain an understanding of your website traffic, and Google Analytics is a popular free tool for measuring this. However, analytics is not a one-size-fits-all situation, and there are many other reputable options your company can consider. StatCounter: Good for companies that needs basic analytics and simple, yet effective reporting. Kissmetrics: Most suitable for a company ready to invest deeply into cohesive online marketing between website analytics, customer data, and autoresponder campaigns. Clicky: Another premium analytics program, best for businesses who need in-depth traffic analysis without spending hundreds per month. Sticking with GA? Learn how toÂ build effective Google Analytics dashboards. What questions do you have about choosing an analytics program? Ask away in the comments section below! Nice, John. I’m a long time fan of Piwik (now Matomo) self-hosted and free. They have paid versions, but I’ve not tried those. Hello Fred. Thanks for the Comment. Matomo is another viable option.